From Le Du's high-wire redefinition of Thai cuisine to Eat Me's always-reliable international offerings, this 'hood has something for everyone. (International) For the best part of a decade this Silom institution has been helmed by American chef Tim Butler, whose creative, flavor-packed dishes across a wide price range have made Eat Me a fixture on regional restaurant lists, seducing diners and reducing critics to incoherent wrecks. Descriptors like “bold,” “fresh” and “East-meets-West” often ring hollow, but here they’re on-point. Butler and co. pull off Thai-but-not-Thai combinations like a black chicken salad that’s elevated to new heights by the addition of red papaya, toasted coconut and betel leaf. The fern-enshrouded outdoor zone is made for after-work drinks, and mixologist Buntanes “Pop” Direkrittikul’s complex gastronomy-inspired creations (larb moo in a glass, anyone?) contribute to the sense that Eat Me is never standing still. (French) Indigo’s wood-raftered dining room sags with marginally -sloshed customers who come for carafes of Cotes du Rhone, terrine de foie gras sliced like it’s going out of fashion, and four inch-thick cote de boeuf served with beautifully burnished fries and rich spoonfuls of red wine sauce. (Thai) Across four- or six-course tasting menus, Chef Thitid “Ton” Tassanakajohn serves diners artful dishes that defy the humble origins of pad kaprao, choo chee curry or larb. The transformations come courtesy of Ton’s highwire techniques, but the foundations are set by cream-of-the-crop local produce: squid from Satun province, mountain rice from Pai, ant larvae from the northeast. Desserts like a coconut panna cotta are almost too exquisite to eat. Topping it all off, Ton is also a certified sommelier with a taste for organic and boutique outfits. (French) Perched 37 floors above Silom, with river views to boot, this wine bistro combines well-executed French comfort food, chargrilled Aussie steaks and a long, long wine list into one sleek yet affordable package. The charcuterie and cheese platters also come highly recommended—just be sure to book well ahead for a spot on the terrace. (Isaan/Thai) From New York to Tokyo, restaurateur Thanaruek Laoraowirodge has taken true-to-Isaan flavors to the global stage. Back in the colorful Sala Daeng shop-house where it all began, he and chef Kornthanut Thongnum roll out a parade of papaya salads, laabs and grilled meats whose execution is a step above their street-side counterparts. (European) A pioneer on the Bangkok dining scene, Water Library draws on local, seasonal flavors to prepare contemporary European menus to an uncompromising standard. Its glass-walled modernist space is a lesson in “special.” The restaurant’s founder, Pote Lee, owns a Californian vineyard, and the wine menu here spotlights the best of the region. 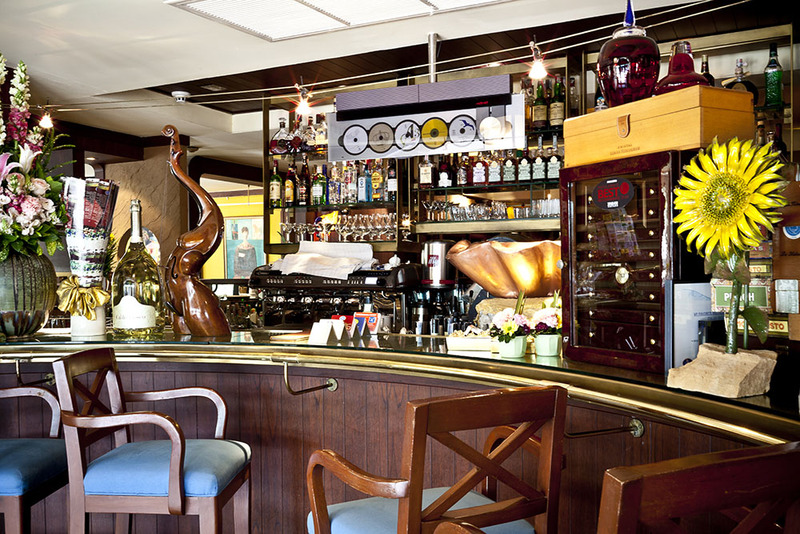 (Italian) The grand dame of Bangkok’s Italian restaurants draws patrons from around the region for authentic Piedmontese dishes inspired by its founding chef, Gianmaria Zanotti, as well as a great selection of pastas and the dependably tasty Florentine-style beef steak. There’s also an impressive wine list populated by venerable Old World domains.